Ranked #12 in our countdown of the 100 Best Hotels and Resorts in the World. 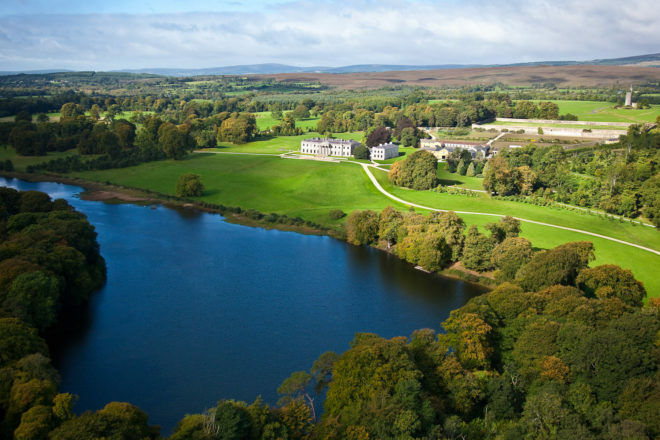 Ballyfin, certainly Ireland’s grandest hotel, is a vast Regency mansion surrounded by a swathe of green at the foot of the Slieve Bloom Mountains. Interiors are sumptuous – glittering French chandeliers, Thomas Chippendale mirrors, ancestral portraits and an overwhelming collection of fine Irish art. Everything is geared to an aristocratic stay in the country. It’s frightfully Downton Abbey, in a good way! Cruise the bucolic grounds by bicycle or golf buggy, indulge in classic pursuits (fishing, croquet, falconry, tennis) or simply head to the spa. The food is local, organic and seasonal. Everyone says that, but here they do it brilliantly. The Ballyfin Bar’s top-shelf Irish whiskies are the perfect tipple. Hotels.com genuine guest review One of the most luxurious mansions in the world. Did you know The sun-filled conservatory is reached through a secret door hidden in the library, which holds 5000 books.